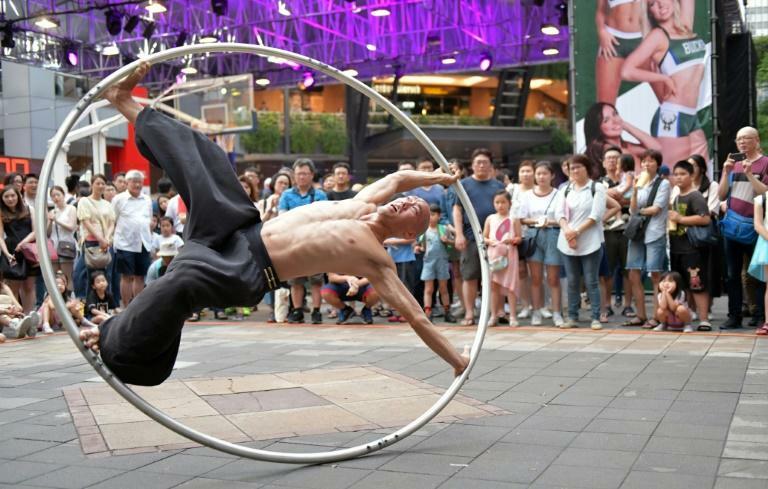 Isaac Hou is one of Taipei's best-known street artists, famous for his mesmerising acrobatics using a giant spinning hoop. The 37-year-old Taiwanese American is a master of the metal Cyr wheel, whirling himself around while stretched out inside the ring. He performs on stage and television but still busks, drawing crowds in various spots around Taiwan's capital, mainly in the shopping district of Xinyi. 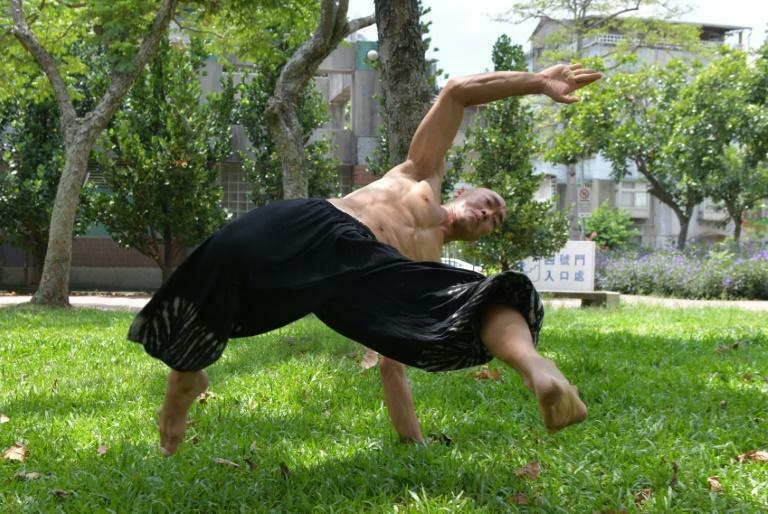 Hou, who also practises the Brazilian dance-like martial art capoeira, as well as ballet, jazz and tango to balance his body, says he finds street performing liberating. 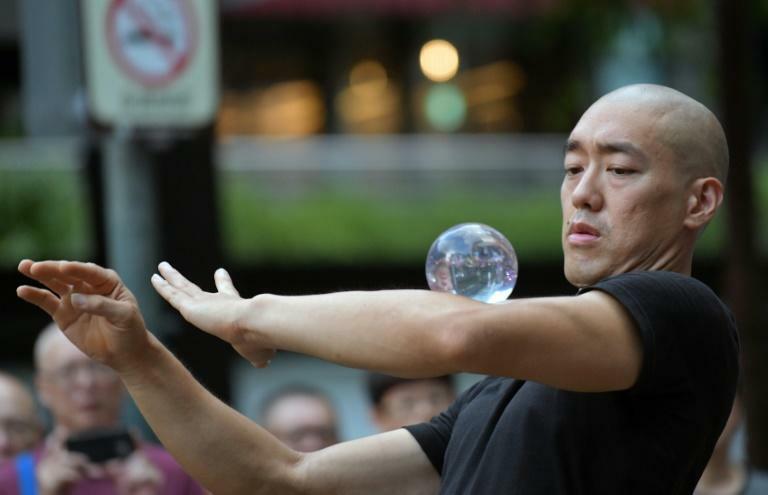 "The reason I wanted to become a street performer is because I saw it as a job without an unpleasant boss, having a great deal of freedom, a way to travel," Hou told AFP. After high school, Hou travelled around the world doing odd jobs and learned kung fu at the Shaolin temple in China, going on to hone his acrobatic skills at circus performance schools in Denmark and Russia. He turned to the Cyr wheel as an alternative to torch juggling, which he had started to do for a living. "I wanted to get away from doing fire so I wouldn't have problems with the police chasing me around," said Hou, who is married to Polish-Canadian dance teacher Magdalena Zieba. But the freedom he finds as a street artist also has its complications. "It's hard to maintain a good schedule for a long period of time. When you have too much free time it's easy to get distracted," he said. When Hou starts losing his way, he says the key is to just keep going. "I guess what works for me is to keep putting one foot in front of the next, to keep doing something even if it seems pointless, to try to go out and do things and see people."